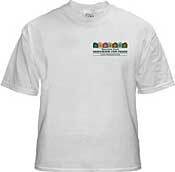 White t-shirt is shown as a sample. Click here or on the images below to view other styles. 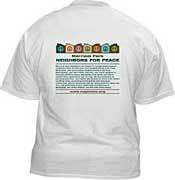 Looking for a Minnesota Neighbors for Peace yard sign, shirt, or other item? Click here.